This week’s episode of Agents of SHIELD did something completely different. It may have been a tie-in to Doctor Strange since it did involve magic (thought it was the theatrical kind) being done by an apparent Inhuman. 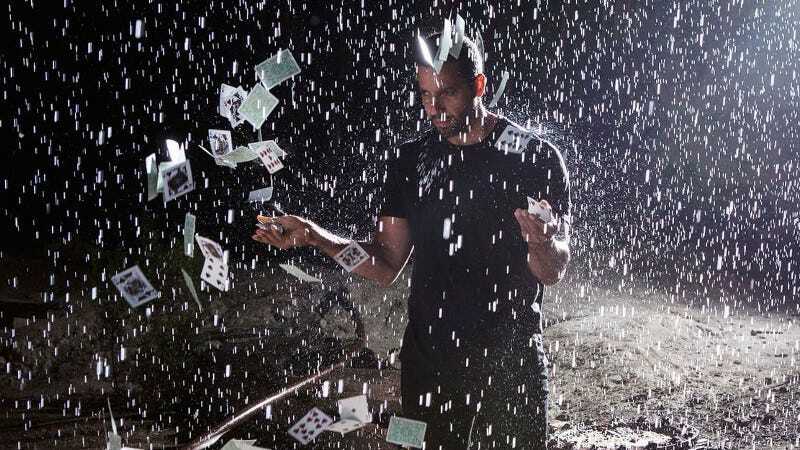 None of the regular characters appeared in the episode titled “David Blaine’s Beyond Magic.” Instead we have a pseudo-documentary style episode* that follows someone named David Blaine as he performs various bits of street magic in front of celebrities (including non-crippled versions of Charles Xavier and James Rhodes). Though never explicitly stated, the obvious implication was that he was secretly an Inhuman given the feats he accomplished such as swallowing a ring then retrieving it with a coat hanger run down his throat. The show culminates in Blaine catching a bullet with a cup in his mouth. I really don’t get how this ties in with Ghost Rider or the Darkhold. This David Blaine character may be a potential asset or adversary for SHIELD. But the character didn’t really grab me and I won’t complain if we don’t see him again. *Similar to the gimmick that Person of Interest used a couple of times.